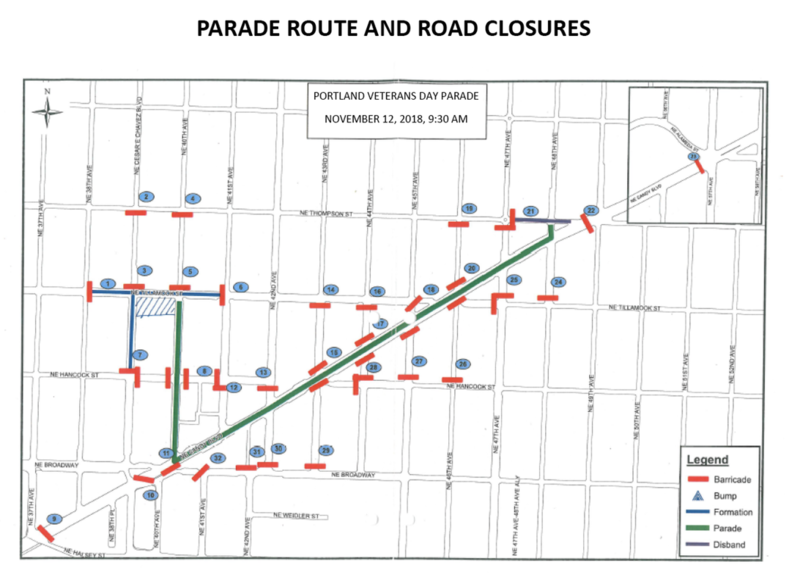 Parade watchers will want to enjoy the parade anywhere between NE 40th and NE 48th on NE Sandy Blvd. The parade concludes at 48th and Sandy Blvd. at the flag pole in front of Ross Hollywood Chapel. Street parking is available throughout the Hollywood District. As such, parking is limited and we do recommend carpooling or using public transportation. For elderly or disabled attendees, a drop off only area is available at the Human Bean coffee shop (former Kentucky Fried Chicken) at 4835 NE Sandy Blvd. Covered seating is on the west side of NE 48th & Thompson and available on a first-come, first-served basis. Please plan to arrive early!